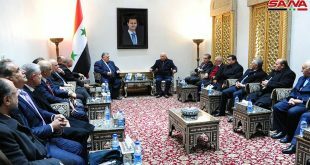 Damascus, SANA- Speaker of the People’s Assembly Hammoudeh Sabbagh said that the Syrian–Iranian relations are strong and deep, affirming the need for bolstering and developing them, particularly the parliamentary relations for the interest of the two peoples and friendly countries. 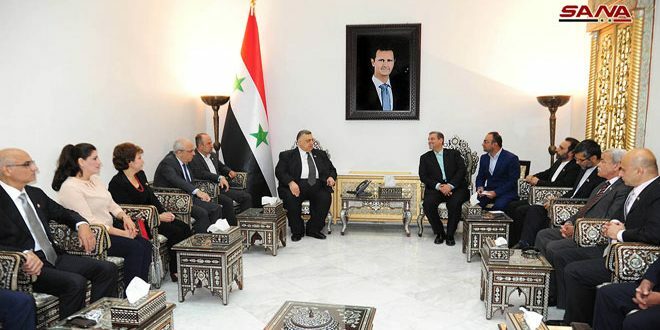 Sabbagh’s remarks came during a meeting with member of the National Security and Foreign Policy Committee of the Iranian Parliament Mostafa Kavakebian in Damascus on Monday. 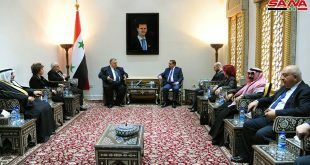 Sabbagh indicated that the Syria and Iran stand ‘in the same trench’ facing the Zionist-American projects, stressing that Iran will be a key partner with Syria during the reconstruction stage. 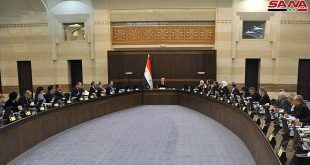 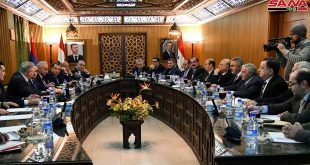 For his part, Kavakebian expressed the Iranian Parliament ‘s keenness to enhance and develop parliamentary relations with the People’s Assembly in Syria, congratulating the Syrian Arab Army over the victories against the terrorist organizations supported mainly by the US and the Zionist Entity.